THE Democratic Republic of Congo’s December 30 general election – its first since independence in 1960 – in which Felix Tshisekedi was voted into the power was rigged, said the Financial Times which cited two separate collections of voting data. The newspaper relied on a trove of election data representing 86% of total votes cast across the country, as well as data collected by the Catholic Church’s 40,000 observers representing 43% of the total turnout. In each case, the voting suggested that Martin Fayulu, was the winner by a significant margin. “It is extremely difficult to believe … that tens of thousands of lines of data could have been fabricated on short notice to produce these results without signs of tampering,” Jason Stearns, director of the Congo Research Group at the Center on International Cooperation, a New York think-tank, who also reviewed the leaked data, told the Financial Times. “This highlights the need for a full, scrupulous audit of the election tallies,” he said. Fayulu was the fancied leader in opinion polls before and during the elections, but the electoral commission surprisingly unveiled Tshisekedi, 55, as the winner. 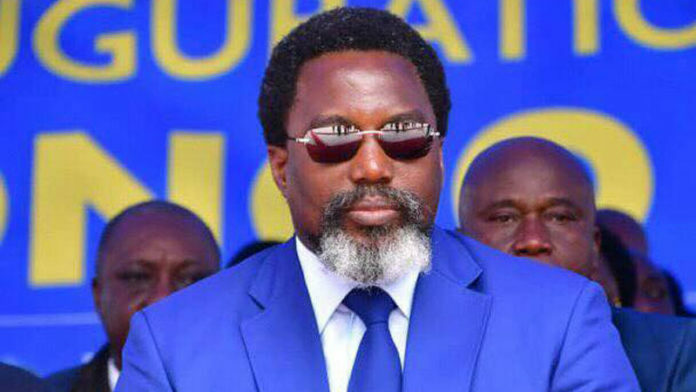 Tshisekedi, who leads the Union for Democracy and Social Progress (UDPS), beat into third place Emmanuel Ramazani Shadary who received 23% of the vote. Shadary was the candidate put forward by president Joseph Kabila’s party. The electoral commission denied its results were fraudulent. However, Fayulu is seeking to overturn the result in the constitutional court, although the court’s impartiality has also been questioned, said the Financial Times. “It is likely to embolden critics of Mr Kabila who suspect the Congolese leader is seeking to cling on to power through a deal with Mr Tshisekedi,” said the Financial Times. During his election campaign, Tshisekedi struck a conciliatory note towards the country’s mining sector saying he might review a recently re-written mining code which asks mining firms to pay higher royalties on minerals such as copper and cobalt. But mining firms operating in the country believed questions about the election could introduce a new period of uncertainty. “It could be that, as a mining sector, we’re worse off than when we were under Kabila,” a one mining operator told Reuters. “There may be some improvements, but we’re not counting on it,” he said. In a study last year, McKinsey forecast a 60% increase in demand for cobalt by 2025, and cited uncertainty in Congolese government policy as one of the major risks to supply. According to a report by Bloomberg News, regional heads of state in the DRC have backed a call by Fayulu for a recount of the presidential election. The Constitutional Court is also prepared to consider his challenge against the result. The Southern African Development Community, a 16-nation bloc, and International Conference on the Great Lakes Region, which groups 12 countries, both said the electoral authority should review the vote because of disputes about the outcome.